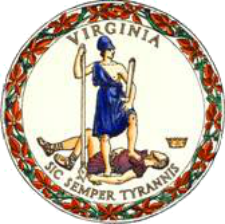 The General Assembly will pass and the Governor will support and sign a package of five bills, including legislation introduced by Delegate Les Adams (R-Pittsylvania) and Senator David Suetterlein (R-Roanoke) to raise the felony larceny threshold to $500; two bills (HB484) introduced by Delegate Rob Bell (R-Albemarle) and Senator Obenshain (R-Rockingham) to ensure that restitution ordered by the courts is collected from defendants, and two bills (HB483) to ensure that that restitution that has been collected is finally delivered to crime victims. HB 1550, introduced by Delegate Adams and SB 105, introduced by Senator Suetterlein will raise the felony larceny threshold to $500. HB 484 (Bell) will require probation officers to monitor payment of restitution and will require courts to review restitution before releasing a defendant from probation supervision or court oversight. In the event the defendant has not complied with the court’s restitution order, the court may impose punishment, schedule additional reviews, and take other steps to ensure that the restitution is paid. Governor Northam will send down a bill for the Senate to consider on the issue of restitution. A bill number and patron will be announced soon. HB 483 (Bell) and ensures that all restitution that is collected shall be delivered to the victim by requiring Clerks of Court to annually transmit any restitution where the victim cannot be found, to the Victim Compensation Fund. The bill then provides the fund with two personnel who will work to locate victims and help them obtain their money. A Crime Commission study found that there was over $230 million in restitution owed to victims across the Commonwealth, but was unpaid and overdue. More recently, WRIC8 reporter Kerri O’Brien found and research confirmed that $8 million in restitution was collected from defendants, but never delivered to the crime victims.